Channels of Discourse fills a significant gap in the critical literature on television. 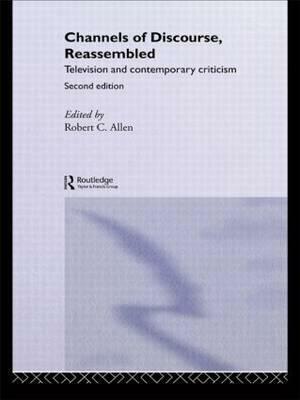 The eight distinguished scholars whose essays make up the collection consider commercial televisionin relation to the major strands of contemporary literary, cultural and cinematic criticism. Robert C. Allen, James Collins, Jane Feuer, John Fiske, Sandy Flitterman-Lewis, James Hay, E. Ann Kaplan, Sarah Ruth Kozloff, Ellen Seiter and Mimi White.